Listen closely - you can almost hear the carriage on the cobblestones outside! Echoes of vintage Victorian-era Christmases are brought to life in this inspired Christmas wreath, featuring a velvety green ribbon, delicately painted cones and the crisp scent of Christmastime. "I send a Christmas Forest wreath to my godparents every year. As soon as it arrives, I get a call to thank me and to tell me how nice the wreaths is. One year, I was later sending the wreath and my godmother was concerned whether she would get a wreath that year. 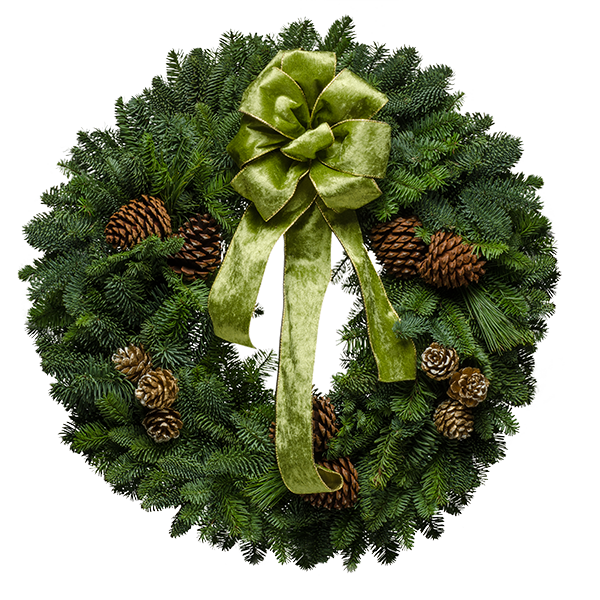 I want to share with you that my godparents look forward to getting their fresh evergreen wreath each year."